And the Local of the Month of July is…. 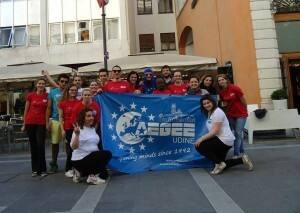 AEGEE-Udine. 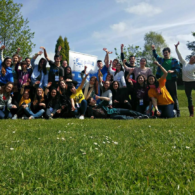 Located in north-east of Italy, AEGEE-Udine “in the last months was the most dynamic within my area (Italian speaking locals, AEGEE-Valletta and Contact of AEGEE-Europe in Lugano ed. 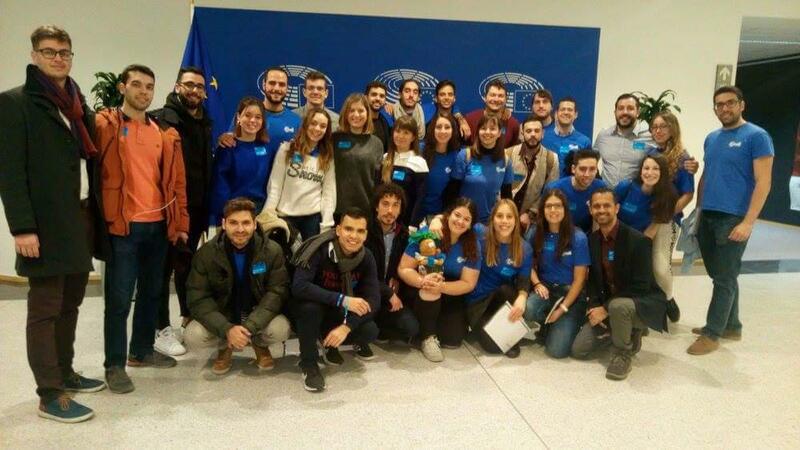 ), and probably in the whole Network” quoting the words of Mattia Abis, Network Commissioner (AEGEE-Cagliari). 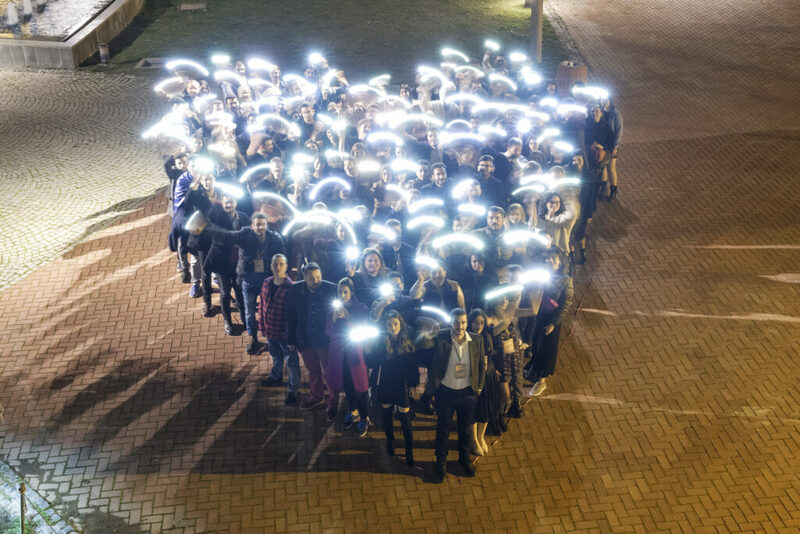 We spoke with the President Alberto De Nardi and two active members, namely Laura Garbelotto and Giancarlo Nicolò, about their past events and their upcoming plans. The AEGEEan: Tell us a little bit about the history of your local. Alberto: I could write a book! Where should I start? I’d say that we are experiencing a positive trend started more than one year ago, characterized by an increasing number of active members, projects, partnerships and promotional activities. In the first months of the year we introduced many changes, mainly with the purpose of giving visibility to the antenna and creating a distinctive image of the association to the external public: new logo and stickers, new t-shirt and hoody, new mascot (Mandi), new flag and banner, new web site. The next phase of this improvement process has just started. It will be deeper and it will take some time. It’s a structural change in the antenna and in the human resources management. We are introducing the committees, the mentor system and a kind of membership criteria that each member has to fulfill. It won’t be easy to implement, but the idea is to have active and motivated members from the moment of their subscription. They have to feel like part of a family and we wish that they don’t take the membership for granted, but as something that has to be conquered. The AEGEEan: You organized a conference about CIEs (immigrants’ detention centers) and immigration problem in Europe. 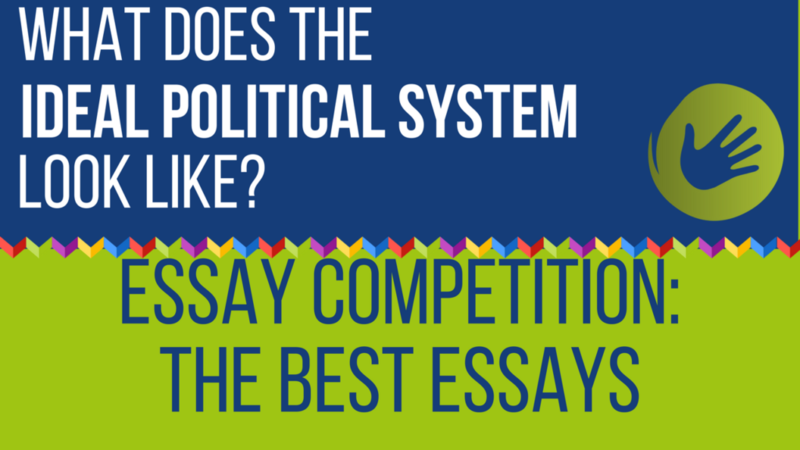 Why choose such a delicate topic? How was the reception? 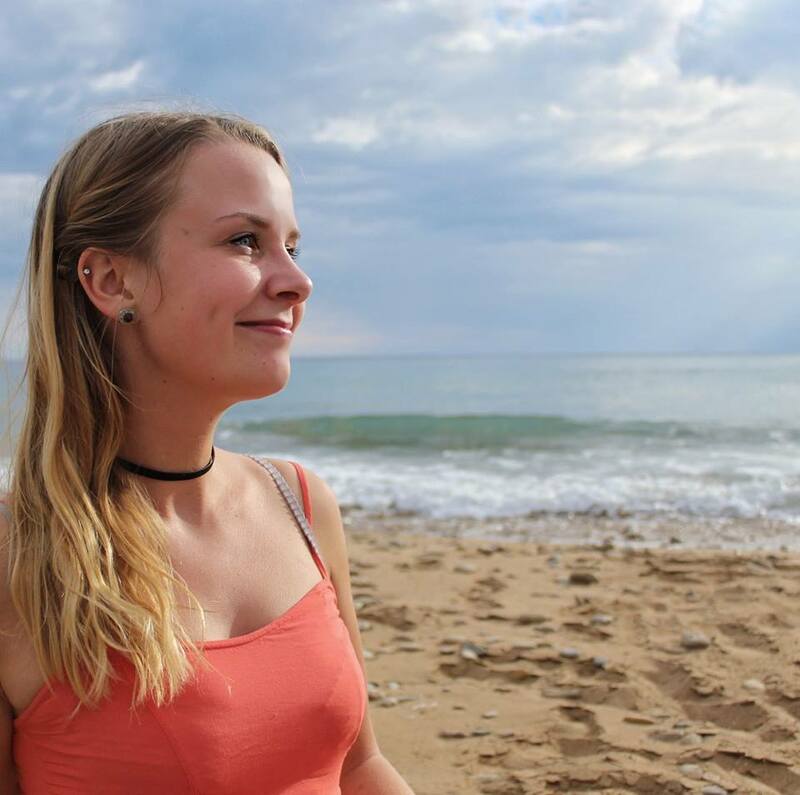 Laura: We believe that caring about this topic is our responsibility, as citizens and AEGEE members. Being aware about the social and political reality around us doesn’t mean only to learn how to socialize and respect the different culture of the European natives. We need to consider also how the freedom of people’s mobility inside the European Union emphasizes the existence of an external border around Europe and raises the difference in the rights between European citizens and those who comes from outside, who do not have the same freedom of movement. After the conference, more than a few were surprised and astonished. People would have never expected that this could be happening inside the borders of the civilized and advanced EU, a few kilometers away from their houses, in the total silence of the mainstream media. 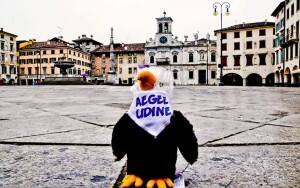 The AEGEEan: Not only Udine, but the entire region of Friuli Venezia Giulia. The EVS Tour with Europe Direct was organized in Trieste, can you tell us more about that? Why Trieste? Alberto: Despite the fact that our region, Friuli Venezia Giulia, is quite small, there are two universities: Udine and Trieste. 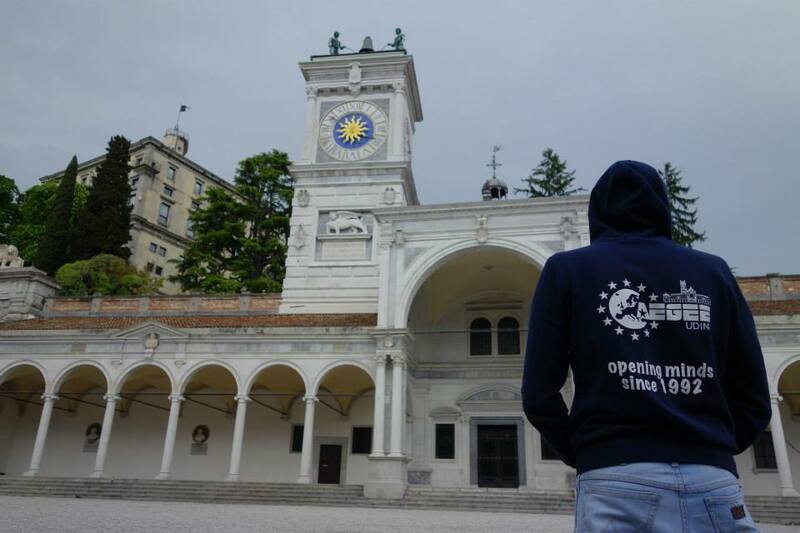 As Udine is the only local of our region (AEGEE-Trieste was deleted during Autumn Agora Budapest 2012), we decided to promote AEGEE in the city of Trieste too. 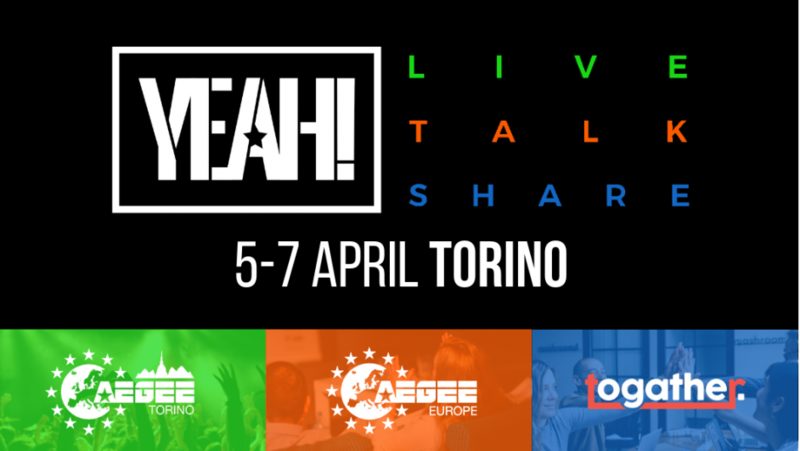 The promotion is of course not as intense as in Udine, but we still manage to publish some posts online about AEGEE events. 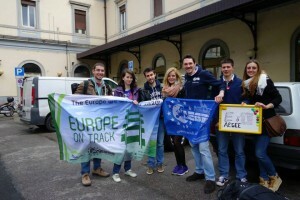 The EVS Tour was organized by the youth association Europe Direct Trieste, and consisted in the organization of many events around the region to present the EVS project. 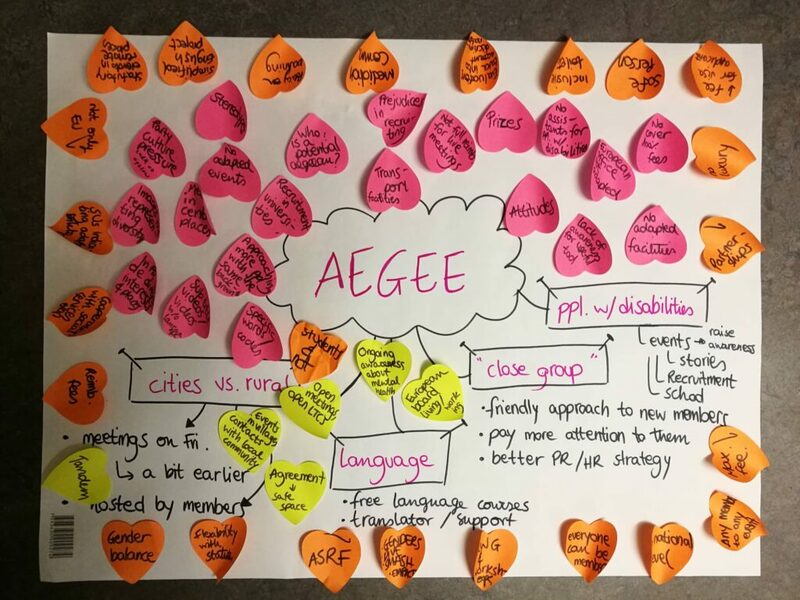 We thought: what a good chance to promote AEGEE amongst youth locals. So we contacted them and attended two meetings introducing our association and activities. The AEGEEan: The BBalkans were hit by floods and a lot of locals and members showed a lot of support. You organized an info desk to get funds/goods for the flood victims. How did you come up with the idea? How did it go? Giancarlo: As soon as the floods hit the Balkans we wanted to do something to help our neighbors, so we decided to contact the local Balkan community. Udine is close to the border and lots of people from the Balkans live in our region. 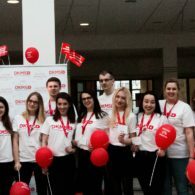 The first idea was to inform and make students aware of the situation, so we began to collaborate with other university associations in order to be more efficient, according to the Balkan example United we stand. The result was a conference to explain the project, to inform about the emergency, the sanitary problems, the needs and the collection points. Then we created an info-desk inside the university campus to give information and collect goods to ship to the flooded territories. 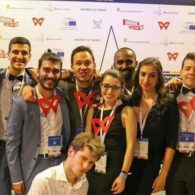 The whole process was very difficult to manage due to time limits and very slow official communication channels of the university, but thanks to the AEGEE spirit the result was great. 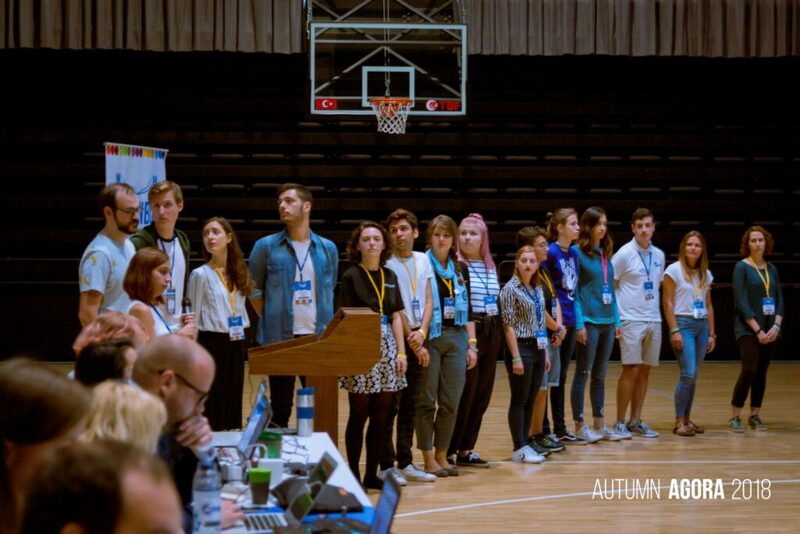 The AEGEEan: AEGEE-Udine in the last year almost doubled the number of members and elected a brand new board. How do you deal with knowledge transfer and activating fresh members? Alberto: At the moment, knowledge transfer is the most important task of our local. That’s why we organized a Regional Training Course (RTC) in December and a Local Training Course (LTC) in April. The timing of the LTC was strategic: right after the end of the application period for the SUs, because we had the highest number of fresher members. The LTC took place for two full days during the weekend (no classes), far away from exam sessions, not overlapping other events and completely for free. 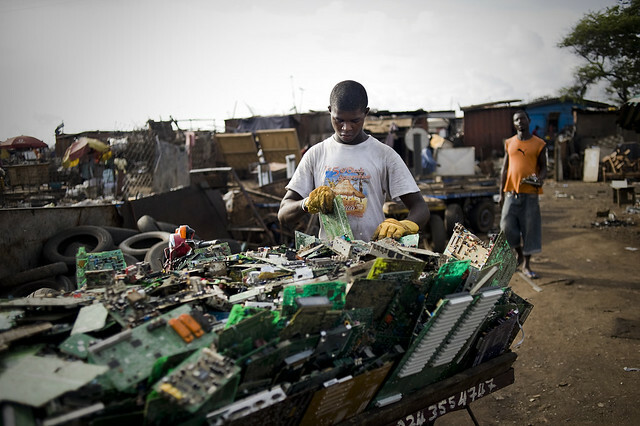 Then we created an online database to store all the useful materials we need such as documents, forms, tool kits, flyers, presentations, contacts and so on. Finally, besides the direct knowledge transfer between each role of former and new board, we just started to introduce the mentor system and the committees as these are two powerful ways of training and integrating new members in the team. The AEGEEan: Three of your members went to the European School 1 (ES1) in Enschede and one to the Summer University Project School (SUPS). How was it? How important are for you those kind of trainings? Alberto: Besides them four, another member attended the Training for Trainers (T4T) and one more applied to the IT School, but it was unfortunately cancelled. Personally I attended the ES1 and I’m extremely satisfied with the program and the trainers of the Academy. We covered all the important managerial aspects for a local, the sessions were stimulating and most important the School was inspiring because I came back with some very useful suggestions that we already started to implement. In the same way, another member went to SUPS in Izmir and claimed that it was an incredible experience as well. 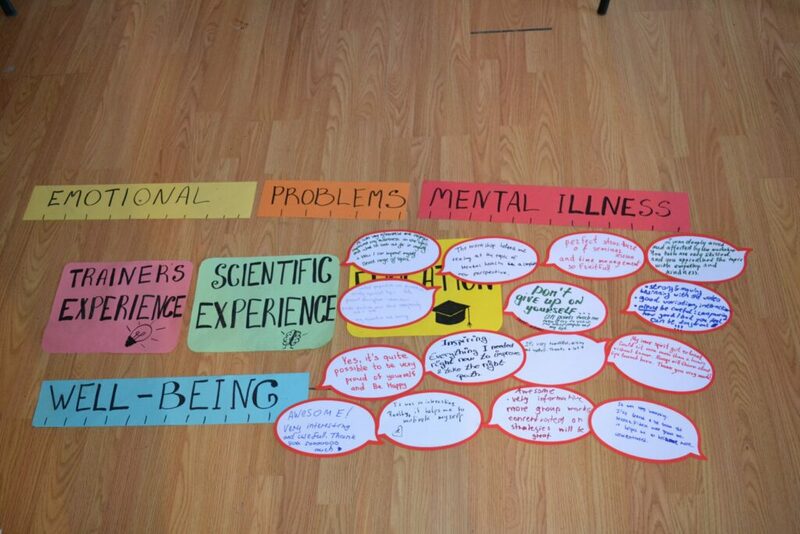 Trainers were really experienced and motivating and they shared a lot of good ideas. 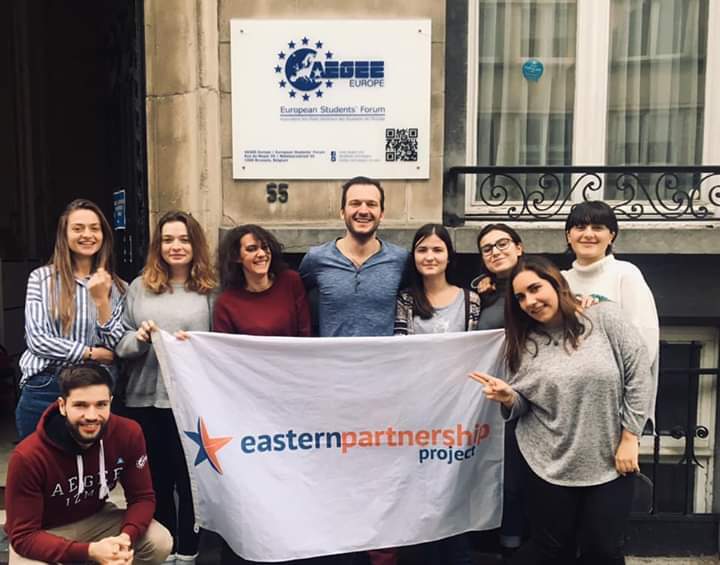 So we strongly believe in the power and utility of trainings and European schools, we always push our members to attend them giving also a partial reimbursement. The AEGEEans: What are the next plans of your local? Alberto: First of all, our Travel Summer University, that will start in Ljubljana in a couple of days. We’ll spend seven days in Slovenia and seven in Italy. Everything is ready and we are very happy about the collaboration with AEGEE-Ljubljana. There is a big team of motivated organizers and the program is fantastic, so we have all the ingredients for a great event. But we have also started to work already on the next big event organized by our antenna…drum roll…the 3rd RTC in a row. The first two were memorable, so we are thinking to repeat it every year. Last year we had 60 participants and we reached the limit of the lodging place and we don’t expect less people to come this year. The dates are already set: 5th-8th of December.